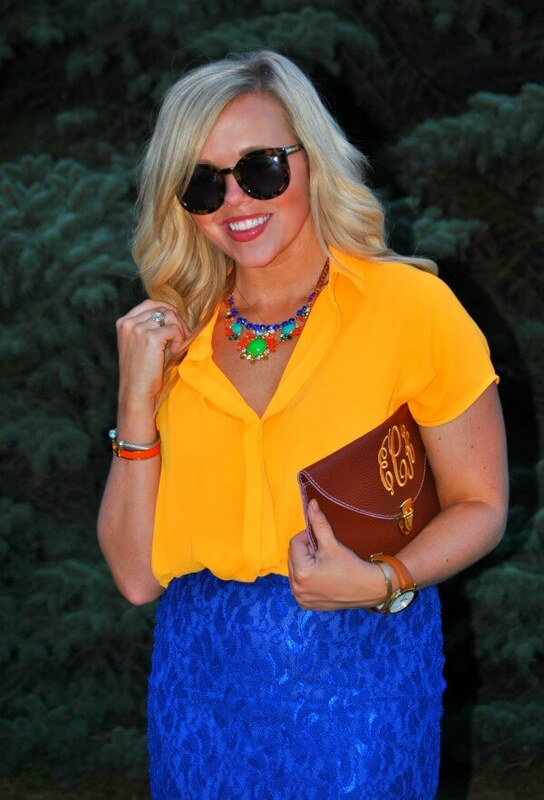 Orange Crush + A GIVEAWAY!! Today I am so excited to bring you this amazing giveaway with Bella Ella Boutique! When tey first contacted me, I knew I had to feature and giveaway this amazing Lace Blue Pencil Skirt! The cut of the skirt fits very well and this color is literally SOOOO amazing. When I first got it, I wasn’t sure what color to pair it with, and then I saw one of m favorite necklaces and knew it had to be orange. Even when I went to dinner that night, people told me I was glowing and I knew it had to with the outfit choice. PS. 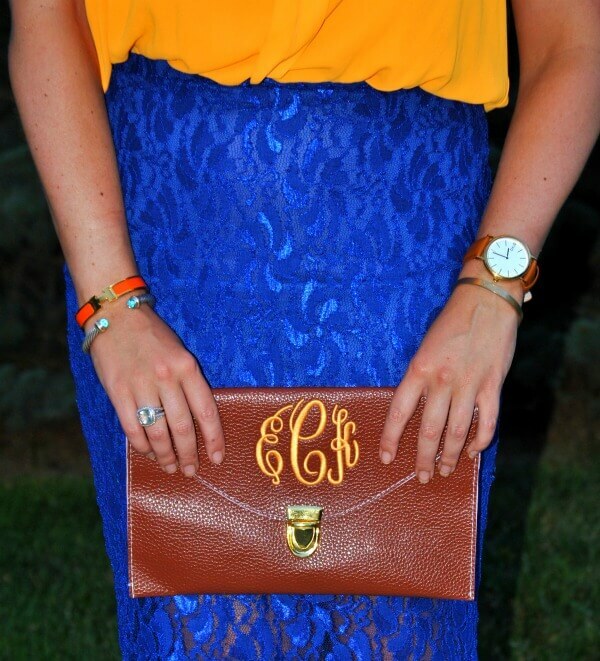 One of my other favorite finds is this Stacy Brown Designs – Monogram Clutch pictured above. I know that Monogram is the “it” trend right now, so make sure to check out here entire boutique HERE for all here Monogrammed goodies. And make sure to use this coupon code for 10% off here entire store. Shop Stuart Weitzman Pumps, Black Booties Shoes, Heeled Sandals, High Waisted Flare Pants and more. Get this widget.